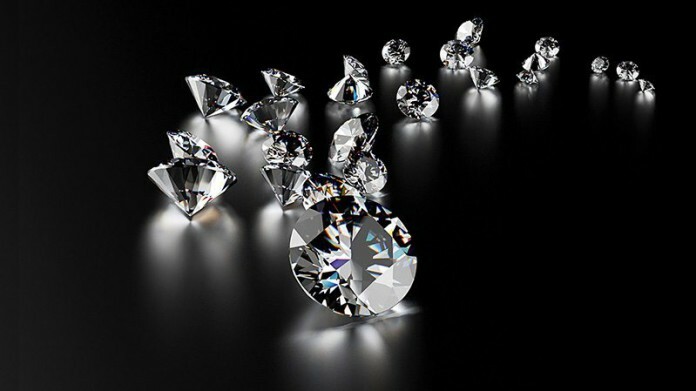 DIAMOND equities may be in for a rough ride in 2019, according to a report by Canaccord Genuity analyst, Des Kilalea, who identified a number of headwinds in 2019, including the decline of diamonds in jewellery – a threat that required a unified marketing response from the diamond industry. This was one of just several factors working against the sector notwithstanding a paucity of new run-of-mine production which would provide some support to rough diamond pricing. Kilalea said the lack of credit in the mid-stream sector – consisting of diamond polishers and jewellers – also resulted in less demand which then dampened pricing. A third factor, perhaps less urgent, was the impact of laboratory-grown diamonds. “One of the drivers of rough price escalation has been, we think, the former availability of cheap funding to the midstream. With credit now scarce and more expensive, price performance will now be dependent on end-consumer demand for jewellery,” said Kilalea in a report for Canaccord Genuity dated January 3. “For some years retail diamond jewellery sales have been relatively flat and we think the diamond content in jewellery is also falling,” he said. However, the under-performance of diamond equities also starts at home; in other words, with the companies themselves who may have been guilty of making overly optimistic price assumptions in their respective feasibility studies or where there have been operational mishaps. Johannesburg- and London-listed Petra Diamonds has struggled to get its Cullinan mine to perform to standards whilst its ambitious expansion drive of the last 10 years has seen the company buried under $540m of debt. Lucara Diamonds, which has a history of producing huge diamonds such as the 1,011 Lesedi la Rona stone, ran into a lower grade transitional zone at its Karowe mine in Botswana. The company produced relatively far smaller stones which it acknowledged in a quarterly report last year added little to the bottom line. A third company, Firestone Diamonds, recorded a disappointing performance from Liqhobong, a mine in Lesotho which is not far from Letseng – a mine owned by GEM Diamonds which is tipped by Kilalea to be a stand-out performer in 2019, as it was last year. “Economic clouds are gathering with China’s growth under threat and global stock markets causing uncertainty. These issues, lack of bank credit for the midstream and lab-grown diamonds are the headwinds for rough diamond prices this year,” said Kilalea on prospects for diamond equities in 2019. “Our view is that prices are likely to remain around current levels but with threats to the downside based on the global macro. Our favoured stocks are Gem Diamonds and Lucara, though Petra offers the most geared play to better rough prices, a better diamond distribution from Cullinan and production delivery,” he said.